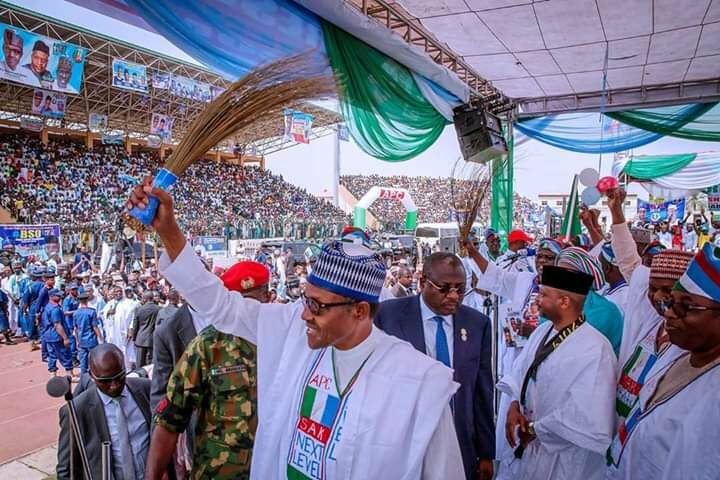 As President Muhammadu Buhari visits Benue State on Wednesday for his 2019 re-election campaign, the Benue State police command has disclosed that it is deploying over 1,000 policemen to provide security during the occasion. Commissioner of Police in the state, Omololu Bishi, in a chat with newsmen on Tuesday, stated that the police would also be synergising with other security agencies in the state to ensure the safety of lives and property during the visit. “Everything is in place; we have operation order and we are ready to receive the president. We will be deploying over 1,000 policemen; we will be having route-lining and deployment of policemen to the venue of the event. We may have to close down some routes and some business areas close to the venue of the event. “Also, all the areas we have noticed that may have too many human activities which might obstruct movement, we might have to close down especially commercial activities in those areas for that day so that the president can have a very hitch-free visit to the state. “We want to ensure that everything will go well. We want to make sure that we don’t have any ugly incident or any form of trouble on my table. We are assuring you that we are ready to receive Mr. President and there will never be any problems,” Bishi stated. Meanwhile, Governor Samuel Ortom has urged the people of the state to accord the president all the necessary courtesy and respect which his office deserves as he visits Benue with his entourage on Wednesday. Governor Ortom, in a statement signed by his Chief Press Secretary (CPS), Terver Akase, wished the president a hitch-free campaign in the state and appealed to the people of the state to be law abiding. He also enjoined them to refrain from acts of provocation such as offensive songs, posters and other messages that might heat up the polity. Ortom who reiterated that Benue people are known to be very hospitable and friendly urged the people to live up to this reputation when the president visits the state. “Governor Ortom, on behalf of the government and people of Benue State, wishes President Buhari a peaceful outing in the state,” the statement read in part.